Whether a business is large or small it is at risk of fraud. Threats are all around and for managers at all levels the safeguarding of documents, whether paper or digital, is more important than ever. A traditional concept it may be, but watermarking company paper remains a sensible plan when protecting documents of all types. A major player in counterfeit prevention, watermarks can be produced in one of two ways: the traditional watermark is created during the paper-pressing process itself, as the pulp is pressed into shape; the modern equivalent involves special inks that create the mark as documents are printed. No prizes for guessing which is the more expensive option, but do not let that deter you as the former is becoming a more accessible choice. Involving online documents, but inspired by a traditional form of information defence, encryption is easier than it sounds. It protects you if someone within the office attempts to view your private files and even if your laptop or computer is stolen by an intruder. Similarly, online criminals can potentially access your computer from remote locations, making encryption a wise choice – and one that can allow you to feel a little like James Bond… if only for a few moments each day! No longer confined to science fiction, holograms are an everyday occurrence in document protection. In the past, they were an option only available to large corporations. Advances in their production and the assistance of businesses such as http://www.rwpierce.com/ mean that companies of all sizes can benefit from their protection. They are almost impossible to replicate as the equipment required to produce them is highly specialised, which means as a deterrent to fraud they are extremely efficient. It may seem patronising, but the old adage of keeping your eyes open can go a long way. 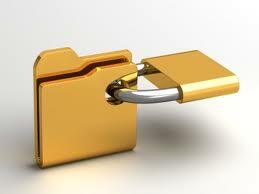 Knowing exactly where confidential documents are kept and who has access to them is vital. Reminding staff to be vigilant about consistency is also important – too often a private piece of paper is left carelessly by a photocopier! Simple common sense can avoid this and a myriad of related issues. As a manager, you should exhibit the behaviour you want your staff to emulate. This should not be taken for granted, so a bit of gentle reminding will not do any harm. Reminders include: ensuring all staff members log off their computers at the end of shifts to avoid unauthorised users accessing their workstations; insisting that passwords are both unique and regularly updated by all users; and confirming that any confidential documents that have been printed are destroyed when appropriate. These ideas are not designed to instil paranoia in the workplace or distrust among your staff, they merely serve to create awareness. There are options out there and choosing the correct one for your company will give you security and peace of mind for the future. Ross Tinnion is a small business manager. He writes for a range of websites and publications on the subject of day-to-day procedure and maintaining high standards in the office environment. He consulted http://www.rwpierce.com/whilst researching this article.